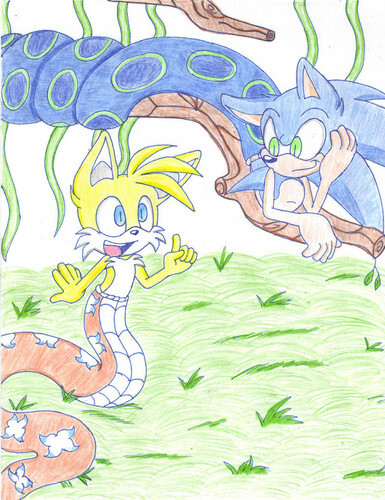 naga sonic n tails by crystal cm d4yipt7. . HD Wallpaper and background images in the Sonadow club tagged: photo.